Coupon Item Description: This Coupon Code is for a Ruby Street 15 Gallon All Grain Homebrew Rig! This Adventures in Homebrewing Ruby Street Brewery homebrewing rig is a full featured high quality home beer brewing structure. All sanitary tri-clamp fittings on mash tun, boil kettle, and pump. 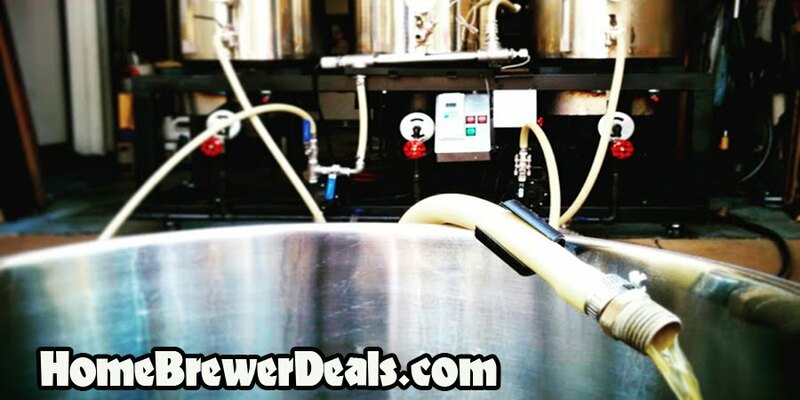 Both boil kettle and mash tun include 18 gauge perforated false bottoms, and 1/2″ stainless steel dip tubes.